Where do stories come from? For the past few weeks I’ve been a little stuck on my current nonfiction book. This is unfortunate, but it has given me time to workshop and revise several short stories and fiction chapters write new ones. Since I have been hopping around in a portfolio of pieces rather than focusing on a single piece it has given me an interesting chance to compare and contrast a cross-section of my work. One of the things that I have noticed is that I have at least three discrete mechanisms for generating story ideas. Writing From Experience – I have been working on a novel off an on for the past five years. While it is definitely a work of fiction, not a memoir, it is set in the Mountain Northwest, where I grew up, and is inspired by events which I participated in or heard about in my twenties. The challenges have been to impose a coherent and interesting plot on a series of what would otherwise be unrelated vignettes and to remix the character traits of a large group of real people into a smaller group of fictional characters. I’m currently happy with the state of the project, yet I suspect I have done more work than if I had created a plot and setting from scratch. Writing from Concepts – Sometimes, and particularly when I write SpecFic, I start with a particular concept and build a story around it. For instance, I might be reading one of the histories on my Great Books List and ask myself “How would this story have been different it <historical figure> was actually a disguised alien from another dimension?” or I might read about a new technology on the science blogs and decide to write a story about it. In this case, the plot is designed to showcase the idea and the characters are created because the plot requires them. It is still easier than writing from experience, because I have free rein to do what I want with the story structure. The challenge, though, is to avoid a result that feels contrived or artificial. Writing from the Subconscious – By “the subconscious”, I mainly mean dreams. Looking at my fiction output over the past four years, I realize that the majority of my stories originated as dream sequences. I have always had extremely vivid dreams and I am often able to remember them when I wake. This method has the advantage that I essentially get to start with a complete, or at least nearly complete, story which I need only write down to have a first draft. The challenge of this method is that, since the dreaming mind works in a multi-threaded mode, a particular dream will often have several different stories overlaid in one sequence and it can be difficult to separate them. I often write down one of these dream stories only to realize that the resulting piece has two or three unrelated stories running through it. Still, as time goes on this increasingly becomes my preferred method of story generation and I will focus on it for the remainder of this essay. In his Sandman series Neil Gaiman, possibly the most “meta” of all living SpecFic authors, returns repeatedly to the idea of stories coming from dreams. 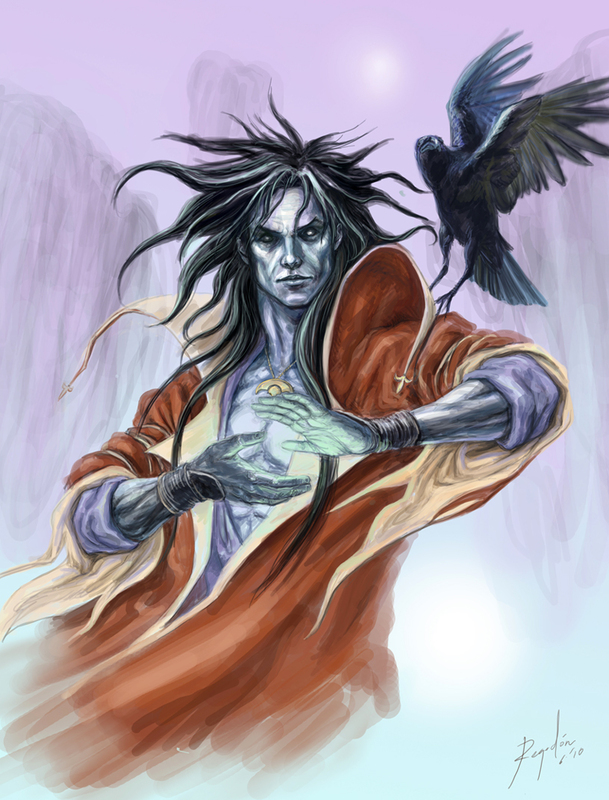 His protagonist Morpheus has the sobriquet “Lord of Stories” and has the power to send dreams to mortals to inspire them to artistic greatness, or even to punish authors by driving them insane by sending them more story ideas than they can physically write down. In his introduction to the second Sandman TPB, Clive Barker contends that Gaiman is special because he is able to write in a state of consciousness between dreaming and waking. To me, this seems to be the ideal to aspire to as a dream inspired writer. Of course Neil Gaiman is hardly the only famous writer to use dream techniques. H.P. Lovecraft was well known for it and, like Gaiman, frequently used if for a theme in his works. This is elegantly expressed in his story Celephais, among many others. In this story the characters “money and lands were gone, and he did not care for the ways of the people about him, but preferred to dream and write if his dreams,” clearly a sentiment held in some measure by Lovecraft himself. Or consider the later work of James Joyce, particularly Finnegan’s Wake, which is essentially one long, raw dream sequence. Nor are writers the only ones who can benefit from dream inspiration. 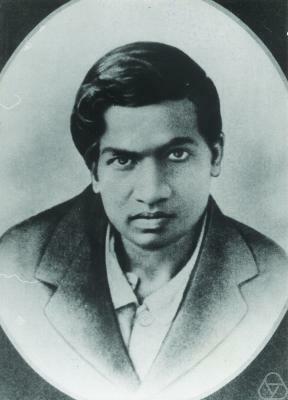 The Indian mystic Srinivasa Ramanujan, possibly the most brilliant mathematician of the 20th century. Ramanujan is far less famous than he deserves for two reasons. First, because he had almost no access to the work of Western mathematicians in his early career he was forced to derive a hundred years worth of mathematical theory independently, leaving him less time to create new work. Second, he died in his early thirties. During the few years he spent at Cambridge before his death, however, Ramanujan wrote down hundreds of theorems, nearly all of which came to him in dreams. Now, a century later, physicists and mathematicians are still studying and struggling to understand his notebooks, which may hold the keys to unlocking the mysteries of string theory and other “21st century” mathematics. So how does one get started? There is a large body of material available on lucid dreaming, and I will not try to recreate it here. However, I will try to convey a few pointers for a writer who wants to start tapping into subconscious dream states for inspiration. Mindfully remember your dreams and write them down. All writers about lucid dreaming agree that this step is critical. When you wake up in the morning, before you even get out of bed, take a few moments to concentrate on remembering as much as you possibly can about your dreams. Write it down in a dream journal as soon as possible. Avoid censuring yourself at this stage or trying to force your dreams into a story plot; there is plenty of time for that later when you mine your dream journal for story ideas. Employee conscious programming when you go to sleep. If you are already working on a project, especially if it is giving you problems, it is helpful to spend a few minutes before sleep calling it to mind so it will be easily available for your subconscious to work on. If you do not have a current project then review your dreams of the previous night, or simply clear your mind and concentrate on an intention such as “Tonight I will have wonderful, vivid dreams and in the morning I will remember them.” This step works even better if it is combined with a nightly meditation practice or if you assume a light autohypnotic trance first. Get enough sleep. It sounds obvious, but the more you sleep, the more you will dream. I had great difficulty convincing myself that my afternoon siesta was part of my writing “work”. When I finally accepted it, though, I found that I get some of my best dream ideas during this period. Periodically sleeping in is also helpful. Become familiar with meditation and autohypnosis. The more experience you have functioning in altered states of consciousness, and especially in alpha and beta brain states, the more comfort and control you will have when you are actually dreaming–eventually leading to an ability to control your dreams and focus on particular aspects which interest you. The two practices are very similar. Meditation is a process of assuming a low frequency mental state and clearing your mind so as to temporarily lose your sense of self and become one with the universe. Autohypnosis is a process of assuming a low frequency mental state so that you can access deeply buried memories or issue suggestions and instructions to your subconscious. I think of autohypnosis as being similar to dropping to a command line interface on a computer so I can launch background tasks or read system files. Numerous books and classes are available to learn both practices, so I won’t attempt to offer specific instructions here. The best advice I can give, though, is that the more you engage in a practice, the easier and more natural it will become for you. In conclusion, dreams can be a wonderful source of story ideas for a writer and anyone who makes a conscious effort can improve the quality, quantity, and recall of their dreams. Dream on!